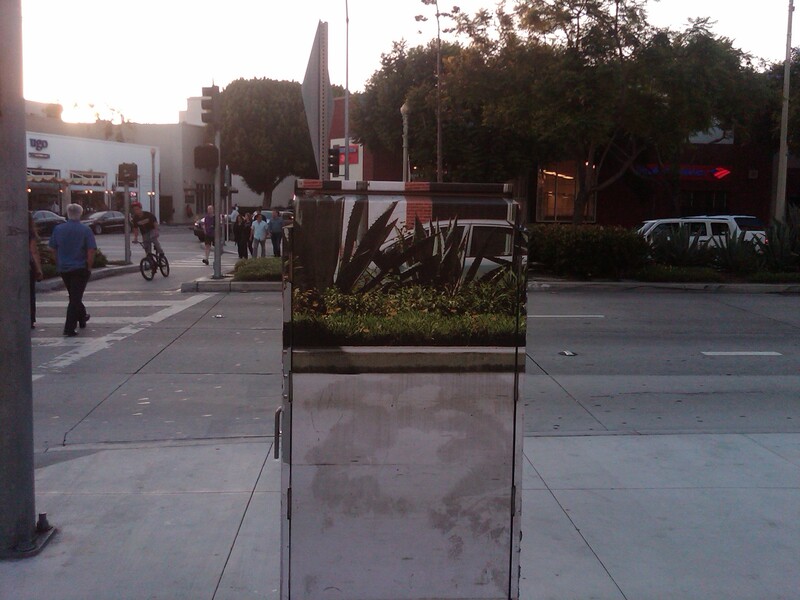 This is a pretty cool idea – and it’s a great way to deal with those unsightly utility boxes that litter our neighborhoods. Cities are now using wraps and other measures to mitigate the blight of Above Ground Facilities (AGF), as they are called. See attached example from Culver City. As you can see, what they did was to photograph what one would normally see if the AGF was not there and then “shrink wrap” that photo onto the AGF. It creates an optical illusion of sorts… because if you look at it a certain way, then for a moment, you don’t see the AGF. This could be a very interesting way of taking care of this problem. I know there’s one at the end of Victoria that could use a little beautification! What do you think?